Set in south-west London, Earlsfield offers an array of bars, restaurants and shops lining Garratt Lane. There is also a good selection of nearby schools and a short journey to London Waterloo from Earlsfield Station, meaning the area appeals to both families and professionals. You will predominantly find Victorian terraced houses here for sale and to rent. Foxtons are proud to be one of the leading estate agents in Earlsfield offering properties for sale and to rent in Earlsfield. During my property search, I met several different agents and Helen-Louise was by far the best. She's talented, got a great attitude, couldn't assist me enough and actually listened to what I said and wanted! I would recommend her to anyone looking to be navigated through the choppy waters of buying a property! The office facilitated my purchase greatly. Very helpful, punctual, professional. During my property search, I have engaged with different agencies and different branches. I have generally positive, but specially the communication with Laura from your Earlsfield office was really impressive. Her positive approach and willingness to help made this difficult and boring process manageable. I would like to thank your team and specially Laura for professional approach. Laura, Miles and Laura helped me in my search for a house which was successful hurray!!! I am very grateful to all the staff but particularly Laura who genuinely could not have been more helpful reassuring us along the way and giving us excellent advice. I could not be happier with my rental and am really so grateful for having access to staff's expertise and experience! Absolutely the best in the business, very accepting friendly and genuinely happy in their jobs. Thank you all so, so much for all your help. I am a chartered surveyor used to selling property On the lookout for a Buy to let my partner and I met Jack for several viewings over a few days. Jack was not successful in selling to us simply because we found an ideal unit elsewhere Jack provided us with an excellent service and we were sorry not to purchase through him He was well briefed, professional, and helpful in every aspect. Toni was extremely supportive through entire process of the sale of our property from dealing with buyer to keeping us updated regarding the solicitors, She has been proactive throughout. Thank you for the help of all of your staff in my recent property search. In particular, I would like to mention Laura who took great care and time in trying to suit my needs. Laura definitely left no stones unturned. We purchased a house through the Foxtons’ branch in Earlsfield. Emily was extremely helpful in the process and excellently handled any questions and requests we had. This was especially useful during the final phases of exchange & completion were she liaised with both sets of solicitor and ensured some of the process issues we had were quickly resolved. We would like to thank Emily for all her help! I would like to draw attention to the fantastic service I received from Emily in your Earlsfield Branch who helped me to find my dream first flat smoothly and with the least stress and hassle possible. I also went through a number of your competitors who showed me properties over a period of 5 months or so. Not only did I find their customer service (general attitude / politeness) sub par compared to Emily, the quality of properties they showed me were in a totally different league. Fortunately, Emily contacted me and showed me around 5 flats that were all better than any I had seen in the previous 5 months. Aside from Emily's pleasant attitude and willingness to show me better quality properties (clearly reliant on what you have on your books), the best thing about the service Emily provided was the responsiveness and clarity of communication. I contacted her often to keep me posted on progress (for both my search and purchase) and she always responded hastily and clearly, allowing me to understand exactly what stage we were at at any given time. I was extremely impressed by and grateful for the wonderful service Emily provided; she is a real credit to your company. Laura was great. She's competent and immediately understood my needs. She has been so kind and even showed me the same house two times on the same day. Thank you! Having been under offer on a property for 18 months, and going through a very tricky purchase, Ed and then Rupert at Foxtons Earlsfield always went the extra mile to make sure all parties were kept up to speed whilst maintaining the highest levels of professionalism. 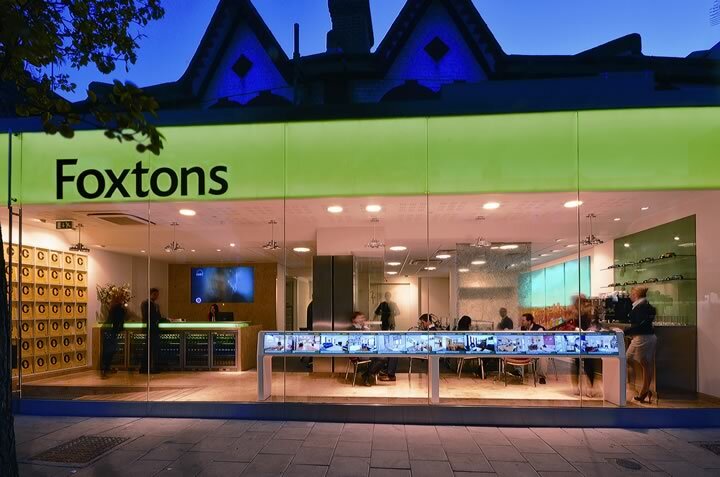 I won't hesitate to recommend Foxtons Earlsfield to any friends wishing to buy or sell a property in the area. My girlfriend and I were looking to move immediately, with everything managed and done within a few days before we moved into our new flat. Laura was very helpful from the very beginning and still helped with our questions. Thank you! We had another agent around to value our property with a view to marketing it. After being disappointed with the valuation we called in you guys and Rupert Greig visited and was very professional and took time to listen to what our needs were. The property was then marketed 100k higher than the previous agent told us we could get. We accepted an offer from a purchaser who had been put forward from the Putney office and the sale progressed with the help and support of Katherine. I did call the other agent to let them know what a great job you guys had done - getting us 75k above what they said we would. Having spoken to a few other agencies, I can say I was genuinely impressed with the service I received, in particular from Toni at the Earlsfield branch who was awesome. My budget and requirements were taken into account and she went above and beyond what I would expect in helping me find my flat. I'd be happy to recommend. Laura looked after my search for my property from the start. I have to say that the professionalism and care she does her job is exceptional. She listened to me and understood my needs, which resulted in a no-stress search and securing a great home. Foxtons handled the sale of our flat efficiently and the constant feedback on progress was most helpful. Rupert Grieg, the Earlsfield sales manager, is very competent. Best experience of selling a property my wife and I have had. Pleased we appointed Foxtons! Emily was one of the many agents I dealt with throughout Earlsfield and was easily one of the best. She was very helpful especially for a first time buyer - it felt like she was genuinely interested in finding you a great place to live rather than just the "take it or leave it" attitude of an alarming number of other agents in the area. I just wanted to say how impressed I was with my experience at Foxtons in Earlsfield. Laura was the only agent (out of eight I met) who asked questions about what our family needs in a property and the priorities for our search rather than just the most basic criteria. She took the time to talk me through how the market is moving and I felt like she listened to me rather than dismissing me as one of many potential tenants on an endless list. I'm emailing as I think it's important to highlight when someone is doing a great job from a customer's perspective - people can be swift to complain but not always so quick to say thank you for great service. I would just like to extend my feedback to say how refreshing it was to be looked after so well by Jack at the Earlsfield branch. We have dealt with a great deal of estate agents on our property search and Jack by far stood out as the most professional, hands on, helpful, communicative and dedicated salesman who went above and beyond for my husband and I. We were so thrilled to finally find our dream home and this was down to all of Jack's efforts. Jack and Foxtons Earlsfield (including Ed who was equally as efficient), we can't thank you enough. I will certainly be recommending Foxtons Earlsfield to friends who are also on the property hunt at the moment. Foxtons Earlsfield are a member of the key governing bodies, abiding by the strictest codes of practice. The Earlsfield property market is competitive. Foxtons can give you an advantage.